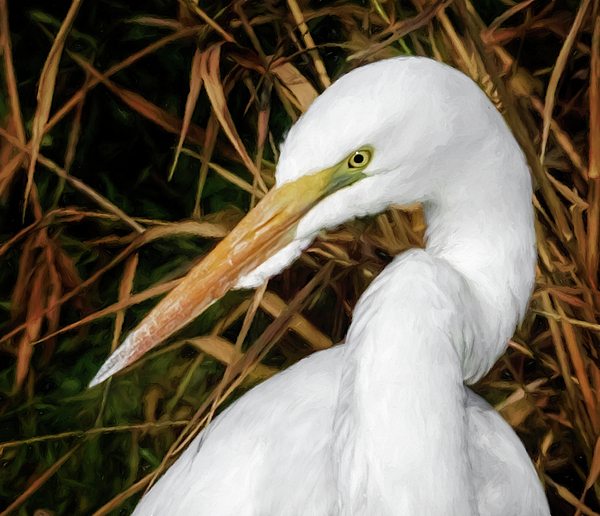 The great egret stands up to 3ft tall with e a wingspan of 52 to 67 inches with all-white feathers. 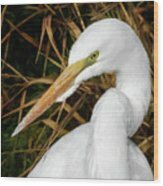 For their size they only weigh from 1.5 to 3.3 lbs. 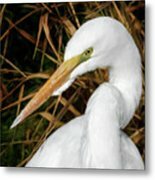 The great egret can be distinguished from other white egrets by its yellow bill and black legs and feet. 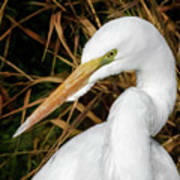 During mating season there are delicate ornamental feathers on the back of both males and females.